Inside: Are you determined to teach your child to be independent? Raising an independent child is essential but also exhausting! 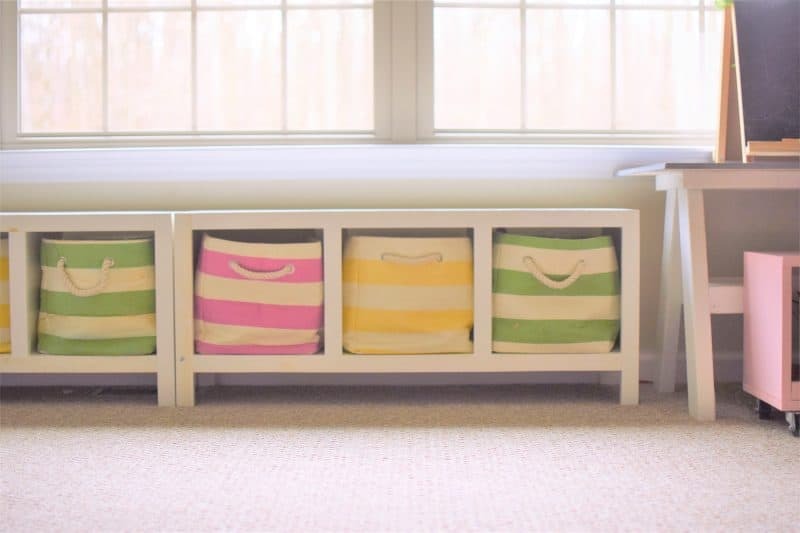 Why not use the way that you organize your home to your advantage? Encourage independence by making it super simple for your child to access the things in your home that they use everyday. Raising an independent child is so important. But it doesn’t have to be difficult. 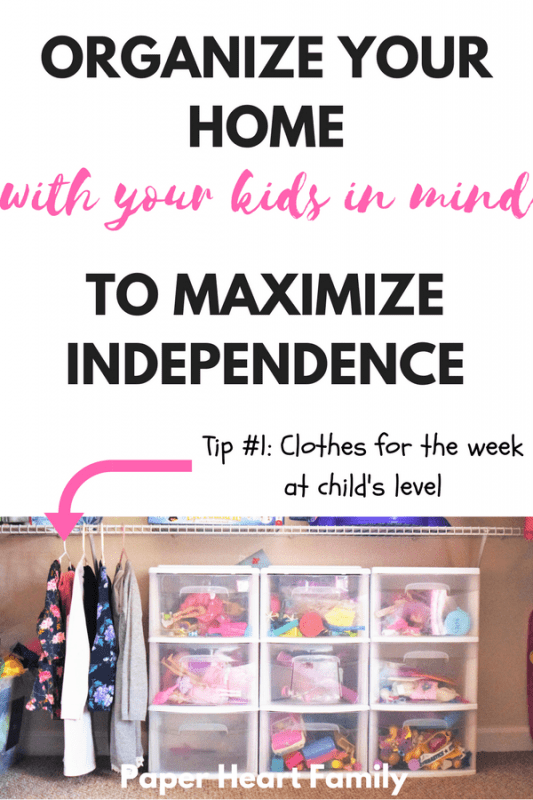 If you have a toddler (or if you think back to the toddler stage) you know very well that independence doesn’t have to be forced. Toddlers crave independence. Just try to brush your toddler’s teeth. Or pick her yogurt or clothes. Or try to dress her. I could go on and on. So why not embrace this need for independence? Even if your child is older, kids get a sense of accomplishment when they do things for themselves (if it’s on their terms at least). So have it be on their terms. 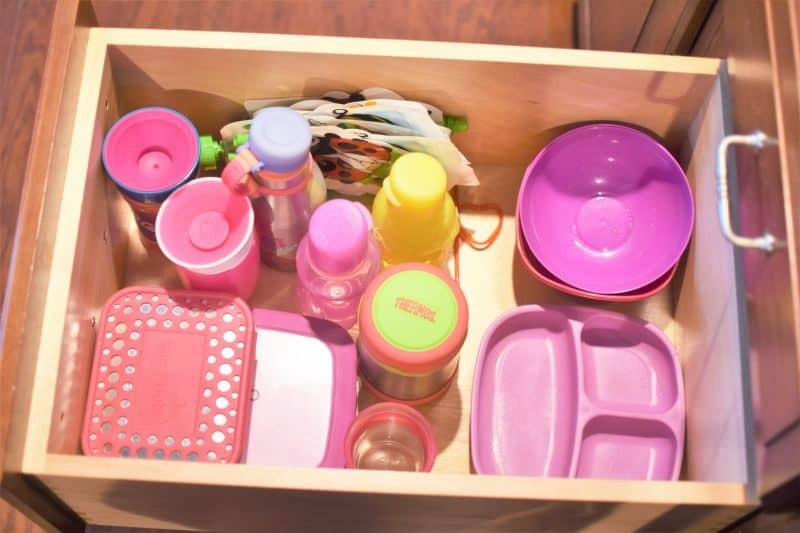 Organize your home so that your child can complete many of the tasks that she wants to do by herself without your help and whenever she feels like it. Every Sunday night, pick out your child’s clothes for the week. Then you don’t have to waste time every night or morning picking out clothes. Or have your child help! (You can always tweak her choices when she’s asleep if she had some wild picks). 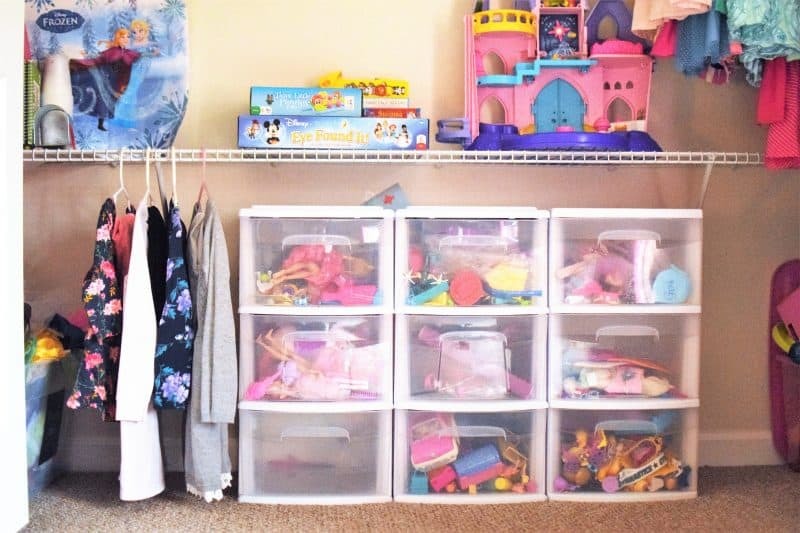 Then, leave the clothes somewhere accessible so that your child can grab them in the morning and dress herself. We hang our clothes for the week down low in my daughter’s closet, but I really love this cute 5-drawer storage organizer . Keep healthy snacks in the pantry down low or in a low cabinet or drawer. Keep the treats up high where only you can reach. Your child will be more likely to choose something healthy when it’s at eye level. In the fridge, do the same thing. I love Kristine from Kristine’s Kitchen’s ideas on prepping a snack station each week, full of healthy grab-and-go snacks. And don’t forget about cups, bowls , plates and utensils . Put them in a low drawer so that your kids can get what they need when they feel like eating. Having everything that your child needs to put on when leaving the house at her level is so smart. It’s helpful with toddlers who want to do everything themselves and it’s helpful for those hectic school mornings when you might be running late. We keep shoes, hats and mittens in an entryway bench and have simple command hooks on the wall that hold my children’s coats and book bags. A bonus is that they can easily put everything away when we return home. 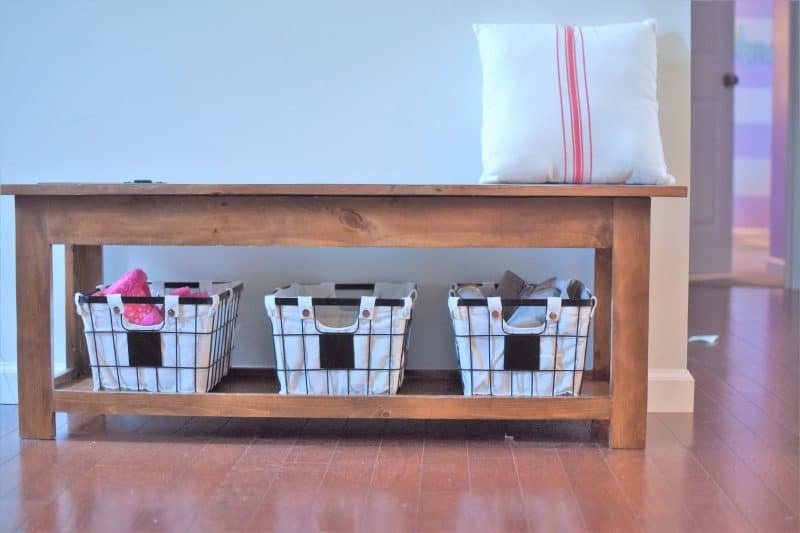 Our entryway bench was built by me from Ana White’s plans but you can find a similar one here and can find my small wire baskets here . Kids are more likely to put their toys away when those toys have a designated, easy to access spot. Organization is so helpful when encouraging independence. I love using bins. They can easily be carried from room to room, and when playtime is over, your kids can easily throw everything back into the bin. When it comes to using the potty and washing hands, your kids need to do these tasks independently before entering school. My 2 year old never used a training potty (because she thinks she’s 5) and would only go when I held her on the toilet. This all-in-one potty with step stool is amazing. She can use the potty SAFELY all by herself and I don’t have to clean a training potty. Sounds amazing, right? It. Is. A safe stool is also essential for hand-washing, brushing teeth and helping in the kitchen. And by providing you child a safe way to do these tasks, she will do them independently, without any prompting and without any help from you. We have a little plastic caddy that we call the “cleaning caddy”. In it, my children both have their own spray bottle and rag. Very often when they see me cleaning, one of my kids will run and get the cleaning caddy and start spraying the table, floor, windows, whatever they can find. How do you teach your child to be independent?